Our favorite metals, our roots and why you benefit from the fact that we are a privately owned company. Founded almost hundred years ago under the name Metallwerk Plansee, we are now at home across the globe. A company that has grown organically and has strong regional roots, we now have a total workforce of some 3,000. We do not try to manufacuture everything, but instead focus on refractory metals: Tungsten and molybdenum are where our core skills lie, and there's nobody in the world who does it better. Privately-owned company that is committed to long-term success rather than short-term quarterly interests. Profits are largely reinvested. Also, we look to build long-term relationships with our employees. A job at Plansee puts you in a good position - in every sense of the word. A popular company with deep roots and the most important employer in the region. 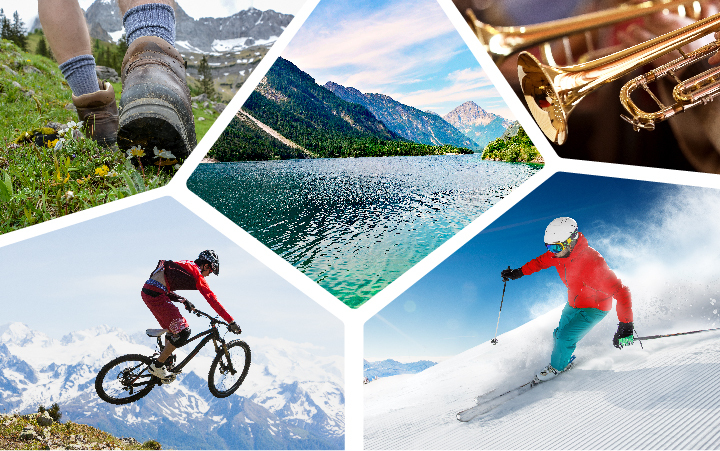 Reutte means quality of life: A family-friendly environment with a wide range of leisure activities. Sports enthusiasts can be on the slopes in just a few minutes and in general benefit from an sensational offer on outdoor activities. Quick access to the city - whether it be Innsbruck or using the A7 motorway towards Munich, Kempten or Ulm. Living rather than commuting: Many live in the region, leaving more time for home life instead of commuting to work. Not only that: Company buses take you to work and back in the local area free of charge. Newcomers and interns, in particular, can live cheaply in the company's own apartments. Our sites worldwide also have a lot to offer in terms of location. You won't see the name Plansee on everyday products, but Plansee is in almost all of them: The surprising diversity of our products makes our work fascinating and varied. What we do is important for all of our everyday lives. Whether it be smartphones, LED lamps or computer tomographs, virtually none of it works without our products. And that gives us a sense of pride. We are constantly developing solutions for new problems and work with fascinating materials in extremely exciting applications. A diverse work day and exciting projects, often together with colleagues from other departments and countries. Take on responsibility quickly, enjoy short decision chains and the space to shape your own ideas. Plansee is big enough to compete with the best in the world of powder metallurgy and small enough that each individual can make an impact. The way we treat each other is really great and despite all of our success, we have kept our feet firmly on the ground. We work hard and have a lot of fun on the way. It's not just us saying this; our most recent employee survey also confirms it. A respectful approach to each other, friendly cooperation between colleagues and an all-around positive atmosphere. We work in a relaxed environment, and almost everyone is on first-name terms. Quality work is well rewarded. Beyond this, depending on the location, we offer many additional benefits such as a company pension plan, an excellent cantine and sporting and cultural activities. Something that makes us especially proud is that 4 out of 5 employees recommend Plansee to their friends. Anyone wanting to make the most of their career will find plenty of support here. Being part of the Plansee Group, with its 4 strong companies and more than 14,000 employees at more than 50 locations around the world, opens up many interesting career possibilities. A comprehensive range of in-house training courses and external professional development opportunities. Internal development programs for managers at all levels. Putting our faith in our own in-house talent when looking to fill key positions is also part of strong development: We fill 8 out of 10 management positions from internal applicants. Annual onboarding event for 60 new employees from all locations across the globe.